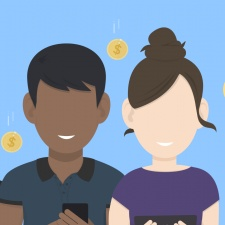 Big spenders aka "whales" are less of a concern on mobile than they used to be. That's according to the Game Profitability Index produced by DeltaDNA, which studied 2,500 games between January 2016 and now, claims that there has been a major shift in the core business models of free-to-play games. An increase in casual spending is balancing out the reliance on power spenders - fondly referred to as “whales”. 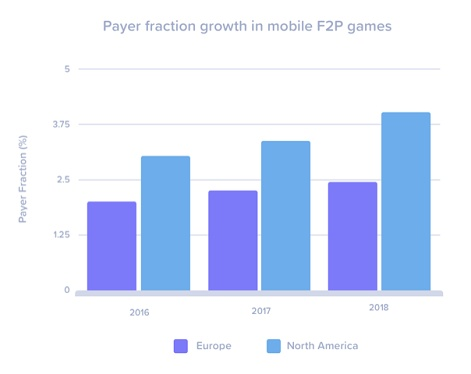 “The results of the study are fascinating as they highlight a major shift in how F2P games monetize,” said DeltaDNA CEO Mark Robinson. “They reveal a trend towards a more balanced monetization model, which is a lot healthier for developers as it moves away from having to rely on a small number of whales to deliver the bulk of the revenue. But while the amount of paying players has increased across the board, individual payers are spending less per-person. The lifetime player value on iOS fell 6.58 per cent to $29.07 - on Android, it dropped 17.69 per cent to $24.37.